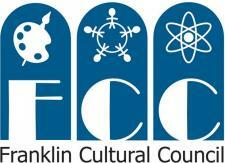 Please email the FDP office -- downtown.franklin@yahoo.com -- if you can volunteer for just 1 hour at the festival. We need help 8:30 - 10:30 and 4:00 - 5:00. This is a huge event and lots of hands are needed to help set up and clean up. Festival Chair Angie Grant will be sending out set-up instructions shortly. Contact Angie at agrant@middlesexbank.com. Hope to see you at the FDP luncheon at 1:00 p.m. this Friday at Dean College. Contact Joel Carrara at jcarrara@printsmartoffice.com for more information.